Review Summary: Hrithik is fantastic, the rest of Kaabil a little outlandish. A decent thriller. What happens when two mega stars have long anticipated films releasing the same day? For one, they are both competing for the short attention span and ever decreasing wallet’s of the movie-going public. Kaabil is a B-grade genre film elevated by the blazing talent of its lead player — Hrithik Roshan. Hrithik invests so much sweat and sincerity in this slim story that he forces us to stay invested in it. A blind couple is terrorised by local goons: the wife is raped and the cops are unhelpful because the perpetrator is the brother of a local politician. The young blind man decides to take the law into his own hands. No one takes him seriously because of his disability. But he takes his revenge slowly and surely and the police are unable to pin the murders of the rapists on him. This revenge drama is perhaps Hrithik Roshan's best work, but hampered by a deathly slow pace. I’m going with two-and-a-half out of five. Specially-abled people often struggle with the system, particularly societal injustice and apathy. If you like a masala entertainer with good performances, decent screenplay and restrained direction, then 'Kaabil' is totally worthy for sure. The realistic cinema lovers might find it hard to digest. On her part, Supriya offers to leave Rohan as she does not want to be a burden on him. 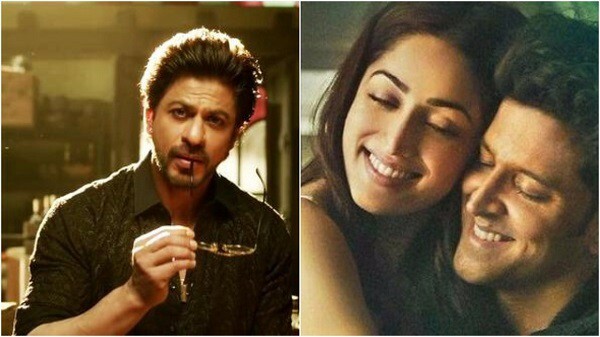 “Kaabil” may not be in the class of 2015’s “Badlapur” when it comes to exploring the nature of vendetta, but it doesn’t discredit the genre either, and the credit should rest on the shoulders of its leading man. 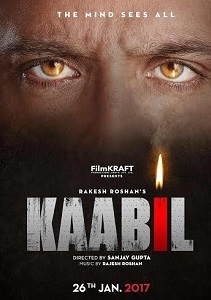 The superb performance by the talented cast, especially Hrithik, takes the simple film to a different level.